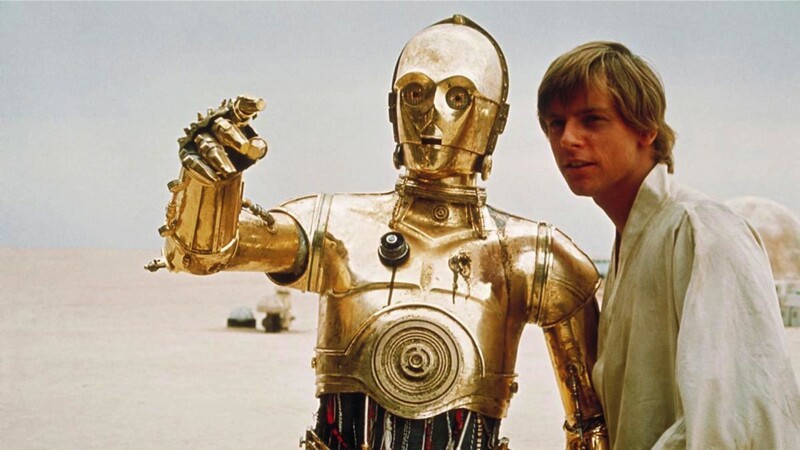 We’ve featured a few recent tweets from Star Wars actor Anthony Daniels in which he suggested some sort of major Star Wars news could be happening this week. In fact, I even did a video rant on one, because I thought he essentially was telling us that an Episode IX reveal of some sort was happening this week. Well, nothing has happened in terms of getting the Episode IX title or a trailer for the film, so I’m starting to think that Daniels, like Hamill, and Boyega before him, is just having fun with his Star Wars fans. He’s sent out a few followup tweets to the one that got me to do a video on it, and it’s clear he’s having fun, but that someone has correctly guessed at what he is cryptically tweeting about. Everyone- except one – is looking the wrong way … But it's getting closer… Amazing… Doesn't seem to be the right shape for a movie title or trailer… Can't see an X or anything… Oh… The signal's faded… I'm sure it'll return… What can it be… Stay tuned… I will. So this reveal isn’t a title or a trailer? It’s an object, what the hell is happening 3PO! I have to rest, before I fall apart… But wait… Wait… I'm receiving a message from… T…R…A…V…………. Oh… signal fading……. Come back…. the One who got it? Alright TRAV, wherever you are, fill us in on your guess, because Daniels is getting too good at this Star Wars fan trolling game! Stay tuned for more Twitter trolling by our beloved Star Wars: Episode IX cast!